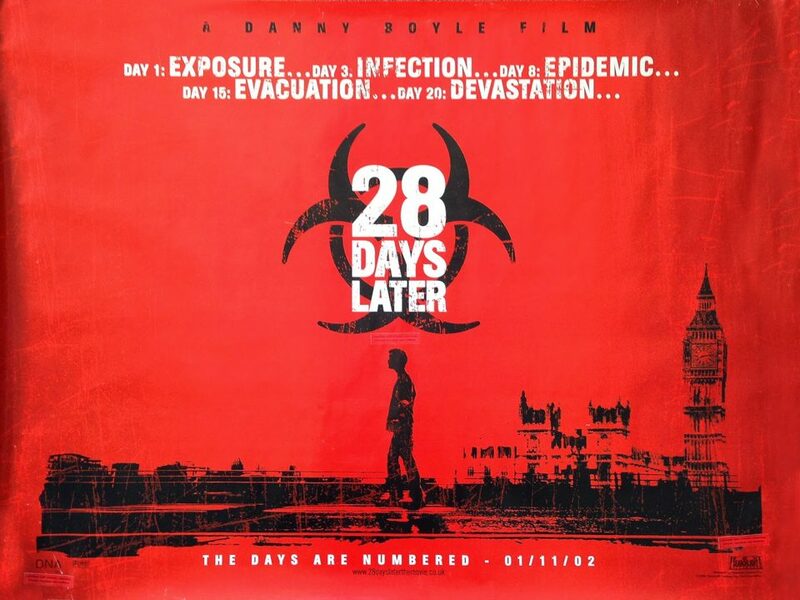 This month’s Top Score comes courtesy of Danny Boyle’s post-apocalyptic horror 28 Days Later. Starring then relative unknowns Cillian Murphy and Naomie Harris as survivors Jim and Selena, the movie follows their desperate attempt to escape the Rage virus epidemic that has transformed the UK population into bloodthirsty zombie-like beings. Marking the first collaboration between Boyle and composer John Murphy, the score for 28 Days Later veers between the haunting and complete edge of your seat listening. Murphy’s prior soundtrack work including Guy Ritchie’s Lock, Stock and Two Smoking Barrels had featured a lot of existing music. However, for 28 Days the composer chose to spread his wings and contribute more bespoke pieces, an approach that ultimately paid off. Drawing influences from Brian Eno and Canadian experimentalists Godspeed You! Black Emperor, both of whom also appear on the soundtrack, the score mixes the ethereal with the immediate in a way that still feels contemporary over 15 years later. The soundtrack highlight comes at the film’s blistering climax in the form of ‘In The House – In A Heartbeat’, an unstoppable storm of atmospheric indie rock that elevates the darkness of an already bloody montage before switching to a moment of tenderness between the protagonists. The scene goes from an eye gouging to a romantic kiss in the space of around 30 seconds and the score is able to shift in a way that feels completely congruous, diving down from roaring guitar to gentle keyboard in a heartbeat. Despite being written for a scene involving rather a lot of bludgeoning, the track has been a popular choice in television and advertising and has been synced in campaigns for Louis Vuitton and Strongbow, as well as popping up in shows like Top Gear and The Apprentice. Born in Liverpool, Murphy got his first major break in 1992 collaborating with David Hughes on the soundtrack for Leon The Pig Farmer. Later in his career he provided scores for the likes of Kickass and Miami Vice, before releasing Anonymous Rejected Filmscore in 2014 – a canned score from an unnamed film created several years previously that had never made it into the final cut.